If you are looking for a new truck bed cover, then see the truck accessory experts at Nu Image Audio in Salina, Kansas. We have decades of experience in the selection and installation of premium truck accessories. 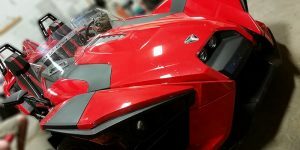 We would be honored to help you choose a solution that will increase the functionality and security of your truck while adding a little style to it. Let’s look at a few of the considerations involved in a choosing a new bed cover. Hundreds of different bed cover options are available. The first decision you have to make is the choice between a hard and soft cover. From a functionality perspective, a hard cover provides increased security. Thieves can’t easily access the contents of your truck bed. If you store tools in your vehicle, then a hard cover is a wise choice. Alternatively, soft covers represent excellent value. We can install them easily, and they can be removed quickly for access to the entire truck bed. 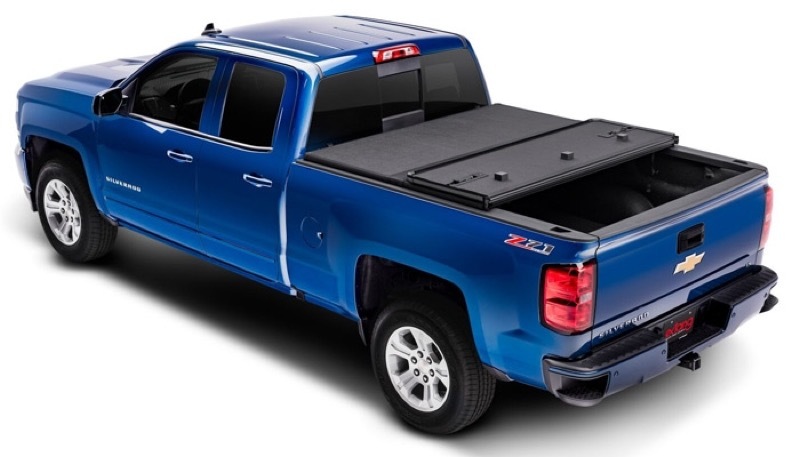 The choice of a folding or rolling cover can determine how much of your truck bed you want to access. Soft covers typically roll up like a sleeping bag and are secured with straps just behind the cab. Hard covers are available with three or four large panels that fold up, or a rolling style with smaller panels that feed into a housing at the end of the bed. One unique option is a powered rolling cover. We can integrate these motorized systems into an aftermarket remote starter or security system. When you want access to the truck bed, just push a button, and the cover will retract automatically. Once you have loaded everything, press a button and the bed contents are protected. 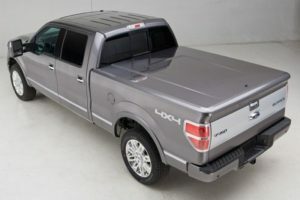 The classic fiberglass tonneau cover remains a popular option. 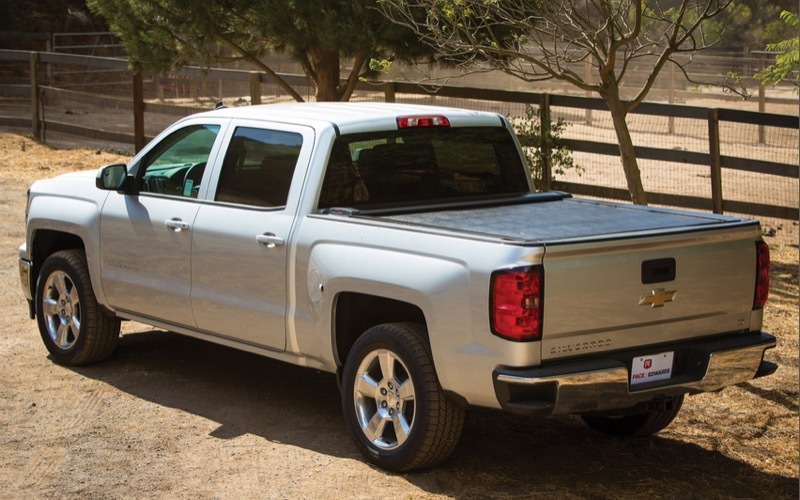 These large, solid covers can dramatically change the look of your truck. We can have them painted to match your truck finish perfectly. Hydraulic supports hold the cover up and out of the way while you are loading or unloading your truck. A secure locking mechanism ensures that everything will stay safe. We can also incorporate an alarm system sensor into the vehicle for added security. We would be happy to install your bed cover for you. Our team will ensure perfect alignment for smooth operation. Almost all of the covers we sell mount without the need to drill holes in your truck. This installation design maintains the value of your vehicle while reducing the chances of rust forming around mounting locations. 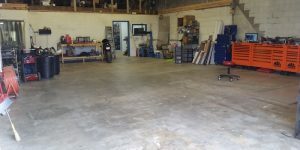 If you have leased your truck, we can remove the cover, leaving no trace of it ever having been installed. We offer premium paint protection film as an upgrade to any of our truck bed cover installations. This heavy-duty film will protect the top edge of the truck bed from nicks and scratches that can occur during loading and unloading. 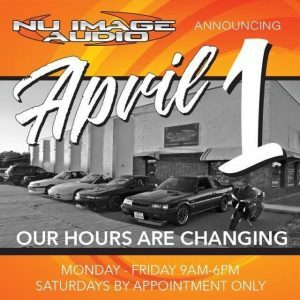 If you are shopping for truck accessories or bed covers, then drop by Nu Image Audio. Our team would be happy to help you find the perfect solution. You can reach us by e-mail by using our contact FORM for more information.